Hey, Texplainer: Is the United Nations going to take over the Alamo? No, it isn’t. Conspiracy theories about the Alamo's future began in 2015 and have reemerged more recently as state and local officials consider plans to “reimagine” the historic site. Hey, Texplainer: What is going on with changes to the Alamo? And is it true that the historic site could end up in foreign hands? The Alamo has long been known as a historic Texas shrine. Recently, however, the San Antonio landmark has been the center of controversy, largely stemming from Tea Party activists wary of a new plan to “reimagine” the historic site. Conspiracy theories about the Alamo’s future began in July 2015 when the United Nations Educational, Scientific and Cultural Organization (UNESCO), gave the San Antonio missions, including the Alamo complex, a World Heritage designation, placing the famed site of the 1836 Battle of the Alamo on par with international landmarks like the Statue of Liberty and the Acropolis in Athens, Greece. The Texas General Land Office is tasked with managing the Alamo and surrounding properties. But the UNESCO designation prompted concerns that the U.N. planned on taking over the Alamo Historic District. Officials have repeatedly said the designation does not open up the Alamo to any kind of foreign control. One of the most vocal critics was state Sen. Donna Campbell, R-New Braunfels, who proposed the Protect the Alamo Act in 2015. While unsuccessful, her measure would have banned any foreign entity from owning, controlling or managing the Alamo complex. It also would’ve prohibited the Texas General Land Office, which manages the Alamo and surrounding properties, from entering into a contract that would allow an “entity formed under the laws of another country” to manage the historic site. Concerns about the Alamo’s future continued to grow as newly-elected Land Commissioner George P. Bush began prioritizing the site’s renovation that year. Local and state officials have long called for updating the site, claiming that it often underwhelms visitors and is increasingly overshadowed by the growth and development of the surrounding city. In December 2015, Bush and members of the Alamo Endowment Board toured three buildings surrounding the Alamo – the Woolworth, Crockett and Palace buildings – that the state later purchased for $14.4 million. Last month, Bush unveiled a multi-million-dollar proposal to renovate the Alamo that included quadrupling the site’s size, restoring historical structures and closing surrounding streets. Local officials have also discussed moving a cenotaph constructed in 1939 honoring Alamo “defenders” to a location farther from the historic site. Bush has also tried to quell theories that the Alamo’s future ownership is uncertain. "To borrow a phrase from the president, there's a whole lot of fake news out there on this," Bush said last month at the Texas Federation of Republican Women’s conference in Dallas. He directed the audience to visit a new website set up by his campaign: AlamoTruth.com. The site asserts that there’s no plan to edit the history or name of the Alamo, but rather to “reimagine” the visitor experience. It also says that the final Alamo Master Plan has not been approved, and that Bush and San Antonio Mayor Ron Nirenberg have the power to accept or reject any part of the proposal. “The following ideas have been developed with Commissioner Bush’s desire to give true honor to those who DIED FOR TEXAS,” the website reads. Days later, Lt. Gov. Dan Patrick ordered the Senate Finance Committee to review funding of the Alamo. "I want to ensure the funds allocated for the Alamo are spent to emphasize the historical impact of that legendary battle on the development of Texas as a nation and as a state," Patrick said. Bush expressed optimism that the Senate review will bring more attention toward current efforts to "restore reverence and dignity" to the site of one of the most famous battles in Texas history. The bottom line: Renovations to the Alamo have been in the works for years. But those changes, along with a 2015 designation by an organization affiliated with the United Nations, have sparked suspicions that the U.N. plans to take over the historic site. 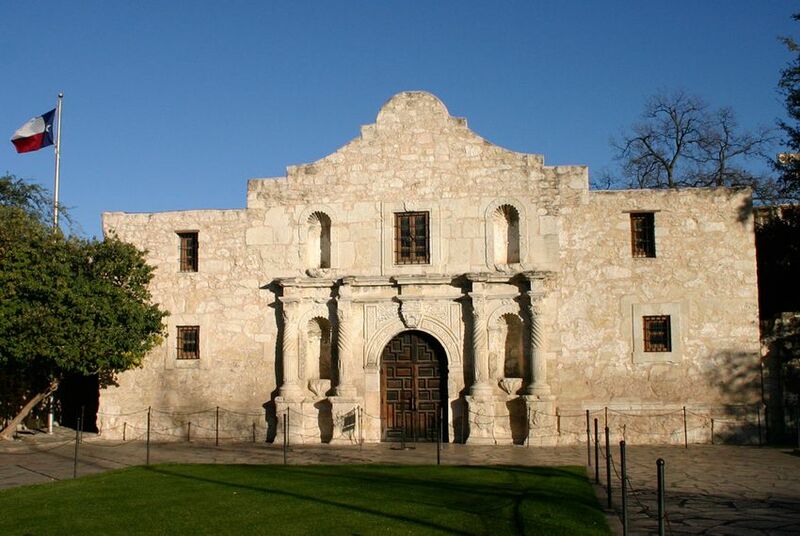 Despite rumors, state officials and Alamo executives insist the site will always be owned and managed by Texas and that current renovations are intended to preserve the site’s historical significance. Disclosure: The General Land Office has been a financial supporter of The Texas Tribune. A complete list of Tribune donors and sponsors can be viewed here.